Speaking to investors in a post-earnings conference call, Quebecor CEO Robert Depatie says Verizon coming to Canada would “catastrophic” for regional carriers and change the outcome of the current auction rules, joining incumbent carriers in publicly speaking out against Verizon, according to the Globe and Mail. The worry for Depatie is the four blocks of spectrum could be shared amongst three players only, with newer entrants getting shut out. He went on to add Verizon could also limit its network deployment in urban areas as well. 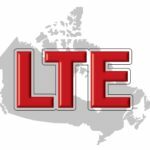 Quebecor’s wireless division, Videotron competes with incumbents in Quebec and earlier this year announced it would team up with Rogers to build and share LTE networks in the province and Ottawa region. The company’s total revenue for the quarter rose 0.8% to $1.09 billion, while its telecom business under the Videotron brand, increased 5% to $678 million.